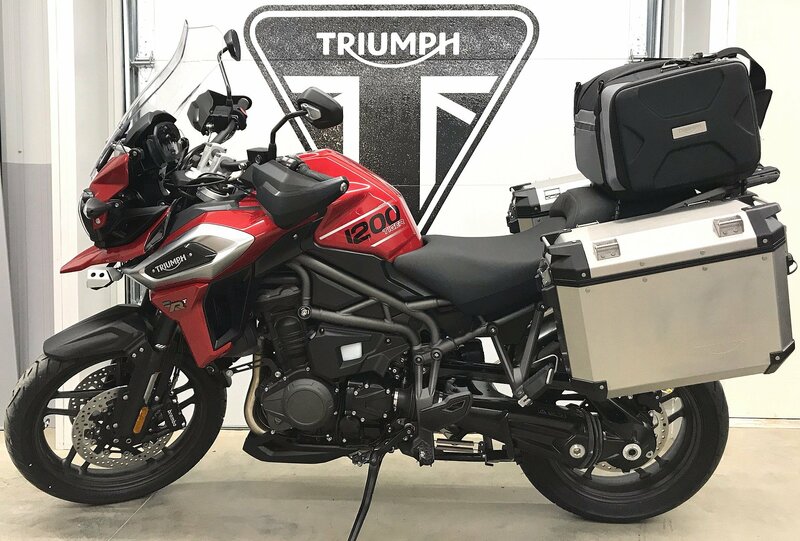 Enjoy that first-class feeling on your travels, with the highest-specification ‘fully-loaded’ Tiger 1200 XRT. 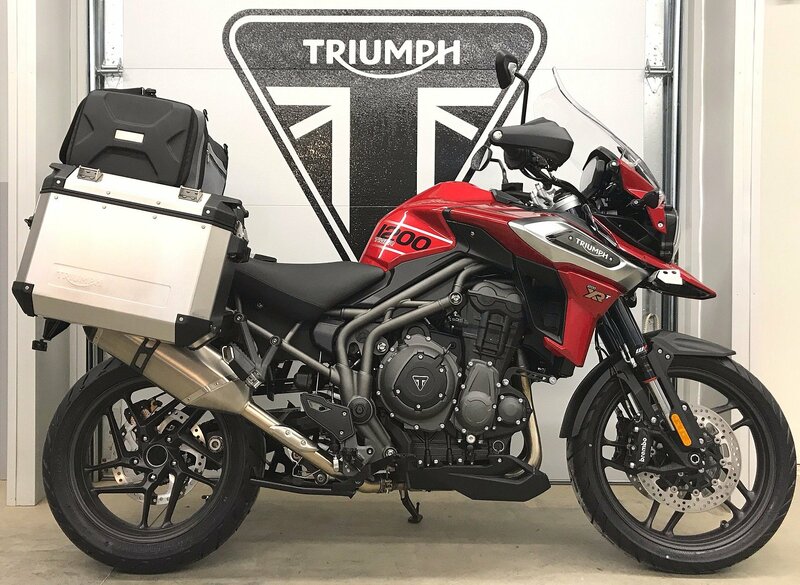 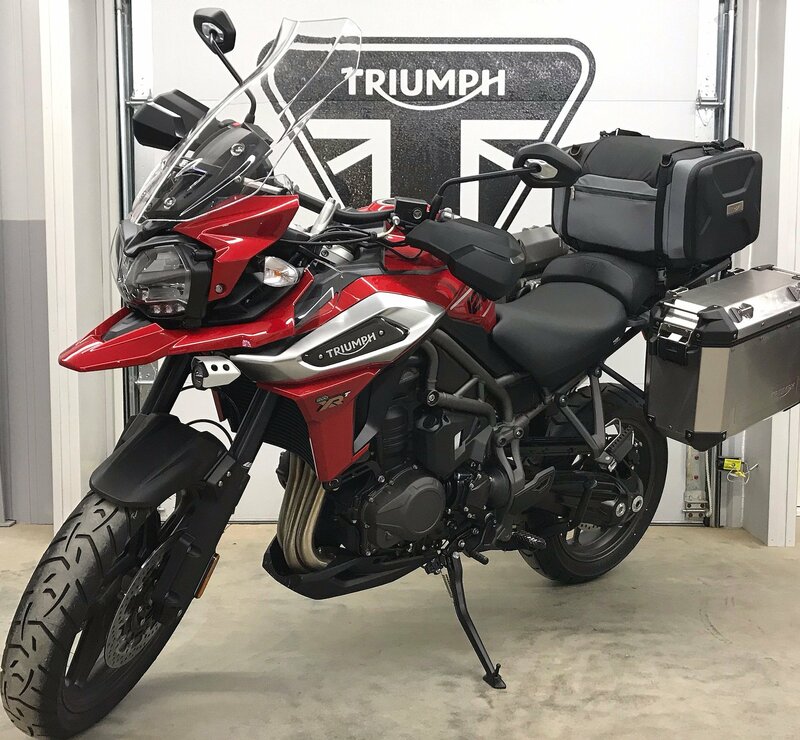 This is a motorcycle that’s packed with more power, advanced ergonomics, contemporary style and the absolute highest level of state-of-the-art technology ever on a Tiger XR, all to deliver the ultimate road-focused adventure. 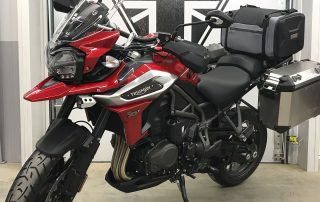 In terms of exciting additional features, the XRT stands above all others in the XR range, adding to its existing specification with; adaptive cornering lighting, Triumph Shift Assist, LED lighting, titanium and carbon fiber-wrapped Arrow silencer, five riding modes to tailor your ride, hill hold, heated grips and seats, and an electrically adjustable touring screen. 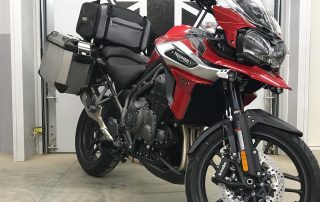 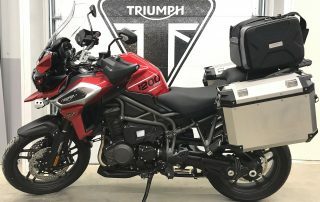 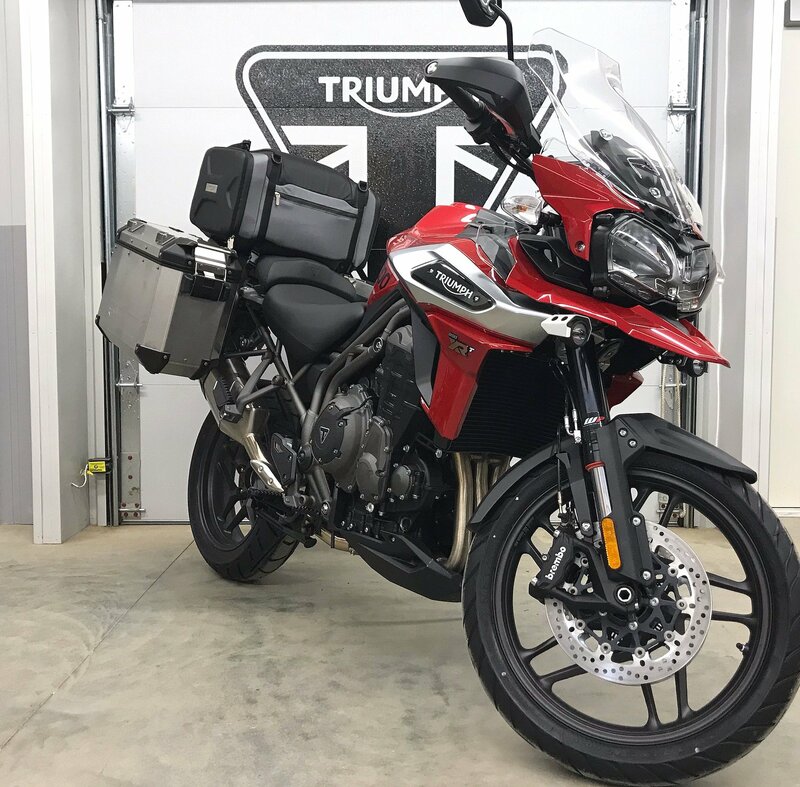 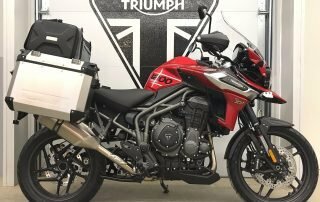 Price includes Triumph Aluminum Expedition Panniers and Pannier Mounts, and 50L travel bag.